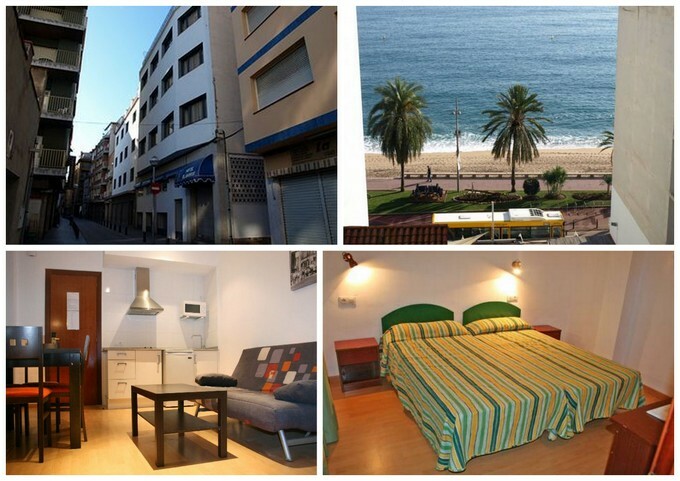 Blavamar Apartments, Lloret de mar are situated just one street back from Llorets seafront at the castle end of the beach. The building and public areas were pretty run down to be honest but we really paid a cheap price to stay there in June 2012. We had an apartment at the top of the building that had recently been refurbished and it even had its own small terrace with sunbeds it was very large and comfortable but there are only two of these apartments and glancing into other rooms I think we got lucky. In our apartment there was a fridge, cooker etc all clean, a new TV in the lounge and the seperate bedroom was cool and quiet, all perfectly acceptable but the scruffy reception, lift and stairs were depressing, if they are brought up to the standard of the apartment we stayed in the Blavamar would become a lloret favourite.